BJP President Amit Shah was all praise for Finance Minister Arun Jaitley and the newly tabled Union Budget, as he addressed the media on Monday, 29 February. Hailing the budget as 'pro-poor' and 'pro-farmer', Shah said the budgetary allocations could go a long way in strengthening the rural sector in India. "For the first time since independence, the budget's focus has been on villages, farmers and the poor. 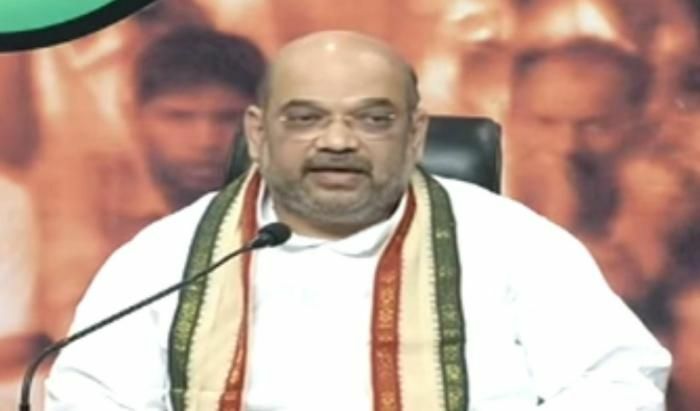 Under this budget, the focus will be on strengthening the rural sector and giving a boost to employment in the country," Amit Shah said during his press conference. "I believe this budget will bring happiness to the country's poor," he added.